Add dry ingredients to a bowl and stir to mix. In another bowl, whisk egg with coconut oil and vanilla. Add Greek yogurt and maple syrup and whisk just until all clumps are gone. Add half the dry ingredient mixture to the wet and stir. Add remaining dry ingredients and stir again. Fold in your grated carrot and milk. Grease a cake pan with coconut oil, add the batter, and bake for 25 minutes, or until a toothpick comes out clean. Let cool for 10 minutes before slicing and serving. 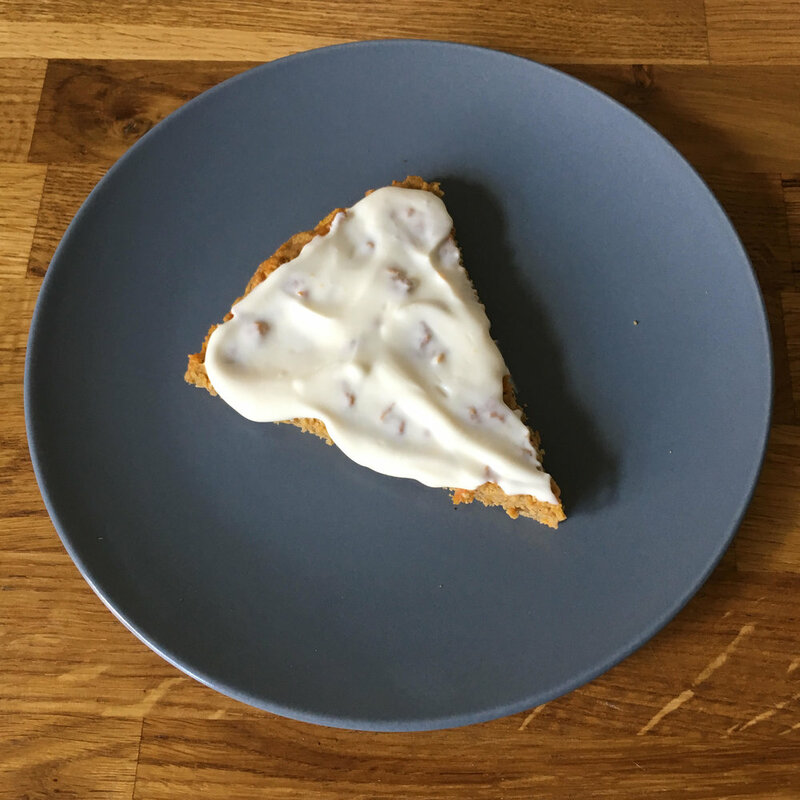 For my Healthier Cream Cheese frosting, mix equal parts Greek yogurt and cream cheese. Add honey to your desired sweetness and spread generously over your cake. Los Angeles born Ali Riley is a professional football (soccer) player for New Zealand & FC Rosengard, and is widely regarded as one of the best players in the world. 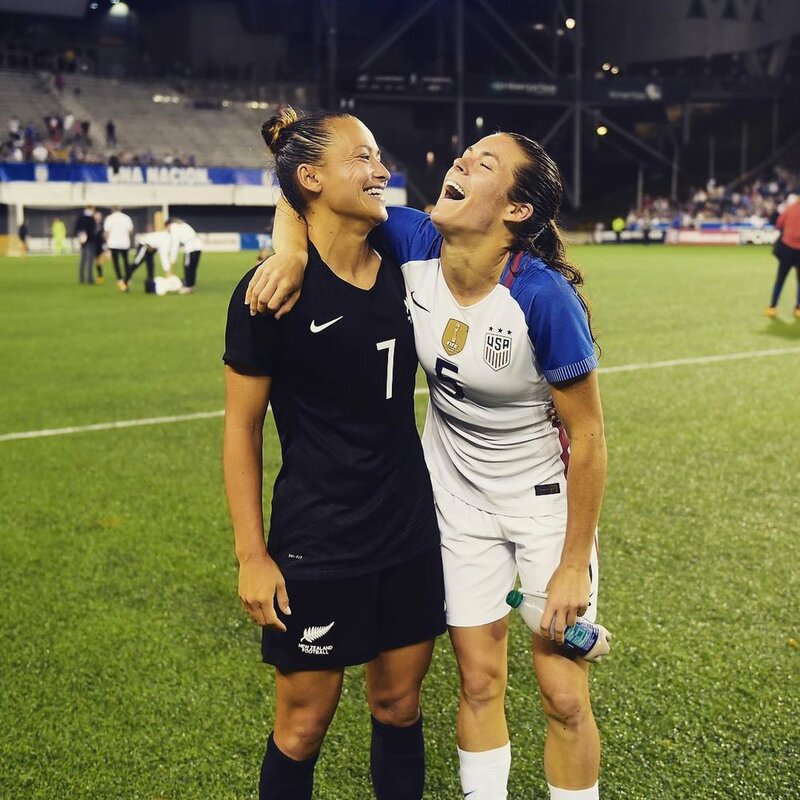 Ali, who now has over 100 international caps, has competed at 2 x FIFA World Cups, and is now an Olympian, having represented NZ at the 2016 Games. She was also shortlisted for the FIFA Team of the Year in 2016. Follow Ali on Instagram, Twitter & get more of her amazing recipes here.